We are home to expert trainers with many years of experience. We are here to teach, inform and inspire in the joy of movement and pain-free living. 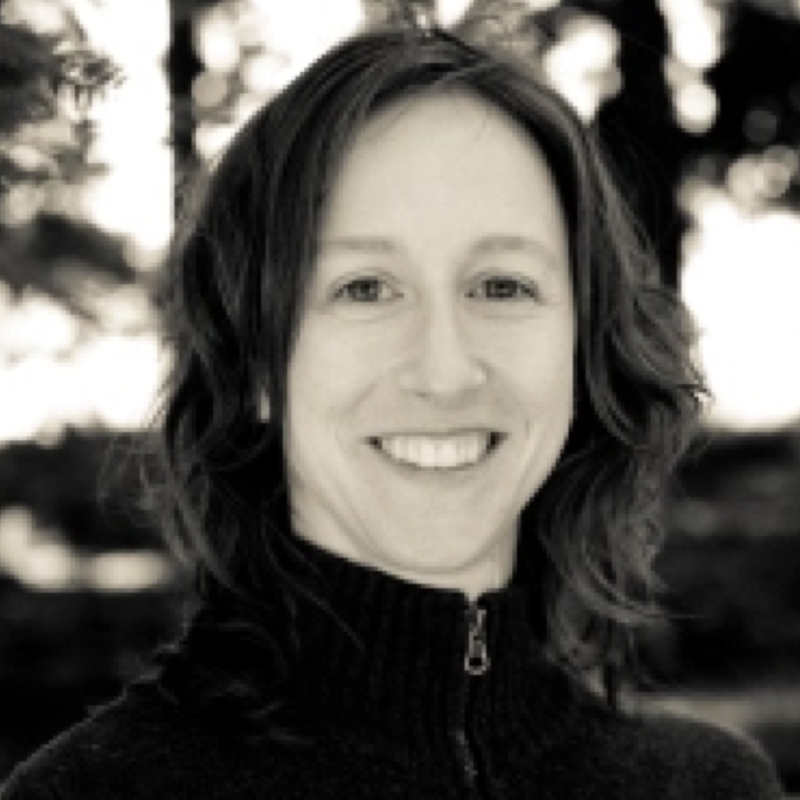 Elizabeth has been training clients and living in San Francisco for over 18 years. She is dedicated to spreading the love of movement to all, and leads her sessions from an experienced eye, a deep understanding of the body’s biomechanics, and a true commitment to each individual’s needs. Liz strives to offer a place (in sessions and at TCS) for clients to deepen their relationship with movement — to learn to walk, stand, jump, lift, twist, lunge and most importantly move with out pain and restrictions. Her group classes are dynamic and engaging and her joy for teaching shines through in all sessions and classes. She completed her Pilates certification with the esteemed Madeline Black (2000) and her original certification in the GYROTONIC EXPANSION SYSTEM® with Master Teacher, Debra Rose (2003). Since opening The Corner Studio in 2004, she has expanded her practice to include multiple GYROTONIC apparatus certifications, and numerous functional and biomechanics movement workshops. Amy Kingwill is a movement specialist with 30 years experience in dance training and performance; her Pilates training, yoga practice, Alexander Technique and Feldenkrais work build on this foundation. She brings her love of motion, her kinesthetic awareness, and her inquisitiveness about what bodies can do to assisting you in developing a stronger, happier, healthier body. Amy holds a BFA in Modern Dance from the University of Utah and is a comprehensively certified Body Arts and Science International (BASI) Pilates Instructor. She holds certificates in Pilates in Pregnancy and Beyond and Pilates for Injuries and Pathologies from BASI, and is working toward specialization in rehabilitation and age-related conditioning. An active person who spent many years going “all out” as a professional dancer, Amy learned Pilates to address an injured hip with chronic pain and arthritis. She learned that if we consciously repattern motion efficiently, use healthy alignment, and strengthen muscles through proper body mechanics, we can remove limitations of motive expression and release the pain which restricts us. Christine Germain is a movement specialist who wants to share with the world the therapies that have helped her recover from injury and improve her fitness.To improve her clients’ quality of motion, she observes carefully and analyzes. She is persistently learning new approaches and methods in order to help clients perform better, recover, and achieve their wellness goals. All her life, Christine has been an active mover: figure skating, synchronized swimming, gymnastics, circus arts, martial arts, and various dance styles from around the world. She received her BFA (Concordia University, Montreal) and MFA (UC Davis) in Dance and Choreography using somatic education as part of the curriculum. In 2007, she became a personal trainer certified by the American College of Sports Medicine. Christine is now a Guild Certified Feldenkrais Practitioner since beginning her training in Feldenkrais in 2003. Other certifications include: Yoga, by the Sivananda Vedanta Center; Pilates, through Balance Body University; TRX (Total Body Resistance Exercise), from Fitness Anywhere; and FMS (Functional Movement Screen), by Functional Movement Systems. Frances, a former professional dancer in the Bay Area, is a certified Pilates instructor. Knowledgeable and gentle, she specializes in injury rehabilitation with an emphasis on pelvic/spinal support and gait pattern. She has worked successfully with clients suffering a variety of injuries and surgeries, including knee and hip replacement, arthroscopic knee surgery, cervical and lumbar bulging discs, TOS, pre- and postpartum conditioning, and nerve degeneration. Frances also comes highly skilled in Swedish, Deep Tissue/Sports and Cranial-Sacral massage, and in 2004 became a Trainer of Somatic Experiencing. After switching careers, Jason decided to take his life-long passion for athletics and channel it into becoming a personal trainer. He received his certification from The National Strength and Conditioning Association, a Bachelor’s in Health Lifestyle and Coaching, and later went on to receive his Hardstyle Kettlebell Certification. With an emphasis on body weight training, he enjoys teaching Olympic lifting and kettlebells to help maximize explosive power and strength, though his primary focus is in lifelong health and fitness. Fran embarked on her 30-year exploration of fitness and movement therapies seeking to ease the musculoskeletal pain and imbalances in her own body resulting from scoliosis. And as an actress and singer she wished to cultivate a strong, supple, and balanced body. Fran specializes in treating musculoskeletal issues, such as scoliosis, and is skilled at restoring optimal balance in musculature and minimizing patterns of compensation. She can tailor and modify exercises for those recovering from accidents, injuries, and surgeries. A fascination with movement has led her to delve deeply into many movements systems, including Iyengar Yoga, Feldendrais, Alexander Technique, and Trager Bodywork, and she draws upon these in her practice. At the heart of Fran’s teaching is a profound respect and appreciation for the intelligence and resilience of the human body. She views her work with each client as a unique, exciting, and collaborative process of discovery. Fran currently holds certifications in Pilates, GYROTONIC EXPANSION SYSTEM®, and Hendrickson Method of Orthopedic Massage and Manual Therapy. Deborah began her training in 2010 and received her Comprehensive Certification through the Balanced Body Teacher Training program. February 2017 she was promoted to Teacher Trainer with Equinox and is currently leading courses for Equinox's Comprehensive Pilates Instructor Training program in Northern California. Constantly in pursuit of continuing education, Deborah has been trained in: Pilates for Injuries and Pathologies BASI (2017), Pre/Postnatal Pilates (2014) and Pilates for Menopause (2017) through The Center for Women's Fitness, Shari Berkowitz's The Vertical Workshop "Full Body Integration: Functional Anatomy and Pilates Applications Intensives" (2014- 2015) and Trigger Point Therapy (2015). A passionate, attentive and caring instructor, Deborah takes a holistic approach to Pilates fitness that focuses on muscular balance and total body conditioning. Abby Crain has been teaching Pilates since 1999 in the Bay Area, New York City and Austin Texas. She was certified by Master teacher Madeline Black. She continued her studies with Mercy Sidbury of St. Frances Dance Medicine in San Francisco, who helped her recover from a back injury, and Carrie Field (now of Taos, New Mexico) who taught her the fundamentals of the technique and how to teach. In New York, Abby was fortunate enough to be whipped into shape after her first child by first generation teacher Kathy Grant, at New York University. She has also studied Body Mind Centering with Bonnie Bainbridge Cohen, Prenatal Yoga with Mia Borgatta, Pilates for Pregnancy with Debbie Goodman, Axis Syllabus with Kira Kirsch, and anatomy with Irene Dowd. Abby has studied extensively with Stephanie Skura in Seattle Washington and was certified to teach Open Source Forms, an imaginative mind body practice. Ravi became interested in personal training when he moved to the Bay Area from Brazil 12 years ago. Coming from his fitness background, his approach is to combine functional training with the Pilates practice. Ravi experienced how Pilates helped improve his own conditioning to surf better and prevent injuries. He finds that Pilates’s precise movements requires a lot of mental focus while being physically challenging just like in any sport, yet is gentle on the body. Ravi’s passion is teaching mind-body awareness through movement and believes Pilates is a practice that can help anyone, whether they hold a desk job or a professional athlete. Ravi has completed the Balance Body Comprehensive Pilates Training and teaches group classes and individual clients. He has been a certified Personal Trainer for over 7 years and has also taught kettlebell, TRX, indoor cycling, weight training and sport performance training. He is a NASM certified specialist in corrective exercise, performance enhancement, and fitness nutrition. Interested in becoming a Corner Studio Trainer? Get in touch. Rachael Dichter grew up in and around the Bay Area, performing as a professional ballerina and receiving her BA in Contemporary Dance and Art History from Mills College. She currently performs as a contemporary dancer and performance artist in San Francisco, and became interested in the strength, heightened bodily awareness, fluidity and raw power that Pilates and strength training offered her as a dancer and performer. She has been a certified Pilates instructor and strength trainer for the past twelve years, and continues to enjoy the power and ease that Pilates and strength training brings to her daily life, and enjoys teaching fast paced workouts that challenge, strengthen and tone her clients. Riikka fell in love with the Corner Studio when she moved to San Francisco three years ago. After training there regularly, she embarked on a life changing journey from corporate career to where her passion lies – health and fitness with focus on mind-body connection and body awareness. She earned a Pilates Mat Instructor certification from ITT Pilates in San Francisco and is certified from NASM as a Personal Trainer. She is also taking prerequisite courses towards studying for a degree in Physical Therapy. Riikka has always been exploring different forms of exercise and sports. She played youth soccer in her native Finland for over 8 years, and now enjoys a variety of activities including Pilates, Gyrotonic, cycling, skiing, hiking and indoor climbing. She has even taken part and enjoyed some very cold and wet Adventure Races in Scotland. Most of all, Riikka loves teaching and the energy that comes from learning and exercising as a group. You might also see her in your next GIT FIT class. After having a successful track career as a World Class 100 meter hurdler training for the 2000 and 2004 Olympics. Felicia decided to take her love of fitness and knowledge of truly knowing how to train, and get certified by the American Council of Exercise and become a personal trainer. She has been using her extensive knowledge of fitness to help her clients be their best selves since 2011.